We're back with another Giveaway and this time its a Big one. We have seen a lot of people wants to start their own site with a custom domain but they have less or no knowledge about designing a unique site. Therefore Today, we will give you a chance to win 1 Premium Wix.com Hosting Account + Domain + Site Builder worth $300 all together. 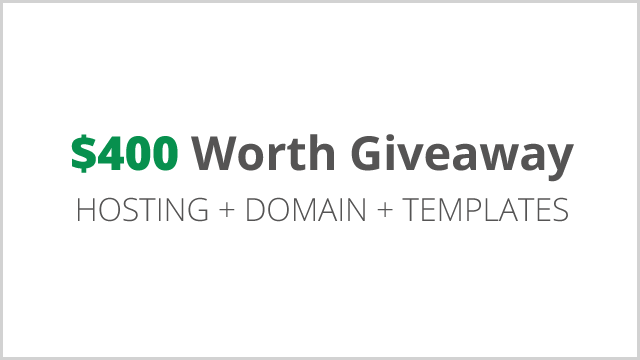 Also Runner ups will get a Free Domain + Premium Templateism Templates. We hope this opportunity would help everyone to get some quick cash, get a hosting plus domain for their new blog or get premium templates from templates. So what are you waiting for? Join the giveaway today.